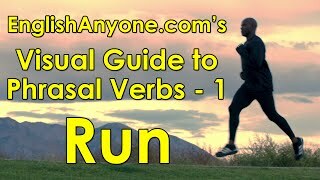 Learn phrasal verbs with run visually in this English grammar video lesson! In this Visual Guide to Phrasal Verbs lesson, learn phrasal verbs with run (run off, run up, run over, etc.) 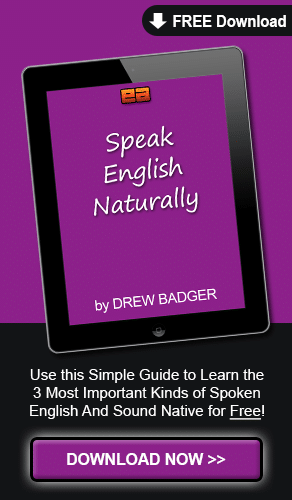 the native way so you can start using them in conversations automatically. You already know about the kind of running you do with your legs. People and many animals with legs can run. just like your arms and legs do when you run. The engine in this taxi is running, even though the taxi isn’t moving. The motor inside a vacuum cleaner also runs. This woman is running a vacuum. and a movie that’s three hours long has a three hour running time. The batteries that power this toy helicopter also run. Batteries may not have moving parts, but they power a cycle of energy. When batteries are powering something, they’re running. Think of the water cycling around our planet in a similar way. let’s see what happens when we combine run with other words to form some very useful phrasal verbs. First, these flashlights have batteries that run. And as the batteries run, their ability to power the flashlights decreases. Instead of saying “decrease,” though, we can combine run with another word to express the same idea in a more conversational way. Over time, the power of a battery runs down until it’s completely gone. So, to run something down means to decrease, reduce or bring it lower. The lions began to eat the zebra they had run down. and then began to eat it. Running down this list of cities, I think we can find a good location for our trip. Reading quickly down this list of cities, I think we can find a good location for our trip. My health has run down a bit lately, so I’m getting my body checked. My health has been getting worse lately, so I’m getting my body checked. I spent two hours running down reports at the office. I spent two hours looking for, and finally finding, reports at the office. The organizers of the rodeo finally ran down Felix and Jose after searching for them for an hour. so they’d been taking a nap. Felix and Jose are two of the best. in the end, it was just too strong for them. Next, if run down means to decrease something, what do you think run up might mean? If you guessed that it means to increase, or go higher, quickly, you’re right! When you run up a flag, you raise it from the bottom of a flagpole to the top. However, we don’t say that a battery is running up when one’s charging. The boy ran up to the ball and kicked it. The country is running up a massive amount of debt. I ran up a really large bill on my credit card buying drinks for everyone at the bar. A girl ran up to her twin sister and revealed the secret. but they weren’t supposed to know about it until the following day. to pay for the new tree house. Cars are running into each other! I ran into my house when it started to rain. I entered my house quickly by running when it started to rain. Colors run into one another when mixed. The story they’re telling about the huge fish they caught is running into the realm of the unbelievable! The story they’re telling about the huge fish they caught is starting to sound more unbelievable! The cost to build a new stadium could run into the millions. The cost to build a new stadium could reach and enter a range of numbers in the millions of dollars. Note that the ideas of running up a bill and a bill running into a large amount of money are related but slightly different. We talk about running a bill up when we want to focus on the speed at which the amount is increasing. A bill running into a high range of amounts, however, is concerned with the total amount – the actual range of high numbers. So, you can actually run up a bill that also runs into a very high dollar range. We ran into a traffic jam caused by an accident. We encountered an unexpected blockage of cars caused by an accident. We ran into a problem when we discovered a hole in the roof. We met an unexpected problem when we discovered a hole in the roof. I ran into a friend of mine while at the mall. I unexpectedly met a friend of mine while at the mall. as you’re probably not actually running when these meetings happen. When I was out on a country road, I ran into three friends of mine on their bikes. They explained that a truck almost ran into them on the road. because the cost to fix them could run into the thousands of dollars! After hearing their story, we decided to run into the city and get lunch. or running out of this hourglass? It’s running out of the upper section of the glass. To run out means to exit quickly, expire or be exhausted. I had to run out to the store to buy a few things. I had to leave my home quickly and go to the store to buy a few things. What will we do if we run out of oil? What will we do if we exhaust our supply of oil? I need to renew my driver’s license before it runs out next month. I need to renew my driver’s license before it expires next month. I’ve run out of some things I need to make dinner! Can I borrow the keys to your car so I can run out quickly and get the ingredients I need? The food’s already cooking and time’s running out before the store closes! Next, let’s say you’re driving and your car leaves the road. or running out of the road? Your car would be running off the road! And when driving off the road, you’re off-roading! you leave an enclosed area like a box or building. you leave an uncovered area like a road or park. Generally, the idea of run off is to leave an area, or make something else leave, quickly. The water runs off the rocks. I ran off some covers of the book. I quickly printed some covers of the book. The criminals had already run off before the police arrived. They had been running off thousands of counterfeit dollars with a stolen printing press. The ink they were using was still running off the printing press and into a bucket on the floor when the police arrived. Next, if run off means to leave quickly, 0:11:100 0:11:103 what do you think run on means? If you guessed that it means to stay or continue, you’re right! I hope this performance doesn’t run on for much longer ‘cause I need to go to the bathroom. I hope this performance doesn’t continue for much longer ‘cause I need to go to the bathroom. I just asked the guy what time it was, but he ran on and on about his colorful shirt. I just asked the guy what time it was, but he continued to speak about his colorful shirt. This portable drill runs on batteries. This portable drill continues to operate with battery power. This enormous truck actually runs on water, not oil! This enormous truck is actually powered by water, not oil! So, unfortunately, we can’t let our meal run on for much longer. But, when we leave, I can give you a ride home in my car that runs on biofuel! so what do you think it means to run away? often with the additional meaning of escaping from something. The two coatis ran away before we could catch them. The bear ran away with a piece of meat. but run away is used more when leaving for extended periods of time. An animal that runs off will probably return again shortly. Riding the freight train, the boy ran away from home when his parents said he couldn’t get married. when his parents said he couldn’t get married. Sally wasn’t the same after her dog ran away. She had forgotten to close the gate that kept it in the yard. Sally’s even thought about running away because she’s been so sad. Hopefully her dog will return soon. Next, have a look at the water running into this glass. What happens when the water exceeds the space inside the glass? The water runs over the top of the glass! but we want to focus just on the idea of running over right now. The water is running over the top of the rock. The water is flowing quickly over the top of the rock. The rabbit got run over. A vehicle hit and drove on top of the rabbit. The meeting at the warehouse ran over, so we finished late. The construction is running over budget, so we’ll need to ask for more money. The construction is exceeding the budget, so we’ll need to ask for more money. My day has been going from bad to worse. I wasn’t ready at work, so my presentation ran over. Then, I had to run over to the parking lot at the end of the day because it was raining. On my drive home, I ran over a cat. the water in the bathtub ran over! Next, can you guess what word goes with run in this scene? Two guys are running through a canyon! from one side to the other, or from start to finish. In spring, a river runs through this desert. In spring, a river flows from one side of this desert to the other. The bike chain runs through the derailleur. The bike chain passes quickly through the derailleur. Move or he’ll run you through with his sword! Move or he’ll stab you with his sword! If you run through the book, you may miss something important. If you read the book hastily, you may miss something important. The teacher runs through the example again to ensure everyone understands. The teacher briefly summarizes and explains the example again to ensure everyone understands. We’ll keep running through this scene until it’s prefect. We’ll continue to rehearse this scene until it’s prefect. She ran through all of the money she’d saved for her two-week vacation on the third day! She quickly spent all of the money she’d saved for her two-week vacation on the third day! but I’ll run through the story again for you. I began by running through many books on speed racing to learn how to get faster. I also created a training program in a forest that I ran through every day to strengthen my legs. Finally, I spent many days running through the city to become the fastest runner in the world. This dog is running across a frozen lake. It’s not safe to run across the street here because of the streetcars. The related, figurative meaning of run across is to find or discover something unexpectedly. They ran across a bunch of rare books when cleaning the abandoned house. We ran across a great street market while on our bus tour of the city. The students ran across some useful websites when working on their project. run across is used more for positive encounters and finding objects. but you would run across the lost keys you’ve been looking for. and running into the space your friend occupies. 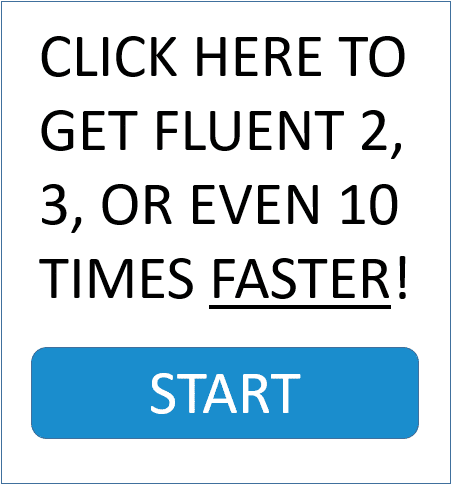 Ultimately, the speed of your motion is important when deciding which phrasal verb to use. If you’re walking, you might come across, or unexpectedly encounter, a lake. If you’re moving quickly, though, you’d run across the lake. I was running across a field of dried grass in Africa when I ran across leopard! but the leopard was the coolest. I just hope the leopard doesn’t run across me later when it’s looking for something to eat. Now, for a last review, answer the following questions using what you’ve learned in this video. What’s a native way of saying that there’s no food left in your kitchen because you ate it all? You’ve run out of food! What are you doing when you’re running up a bill on your credit card? You’re spending a lot of money! or that I had what? I’d run into an old friend of mine from school on a vacation. What are you doing when you explain a plan again, summarizing it quickly? You’re running through the plan. How might I accidentally find some lost pictures in my home? I might run across them while cleaning. Wolves would try to do what when chasing a deer? The wolves would try to run the deer down. What’s a more conversational way of saying that you’ll quickly print many copies of a menu? You’ll run off many copies of a menu. What probably happened to the dead dog in the middle of the busy street? It probably got run over. Someone probably ran over the dog. How else could you say that a vehicle is powered by orange juice? You could say that it runs on orange juice. The vehicle runs on orange juice. A dog that doesn’t like its owner might try to do what? The dog might try to run away.